Pistol Bay Mining Inc. (TSX-V: PST) (Frankfurt:OQS2) (OTC/Pink Sheet:SLTFF) is pleased to give an update on Confederation Lake in Ontario. Charles Desjardins, President and CEO of Pistol Bay, is pleased to inform shareholders that the company has retained Dahrouge Geological Consulting Ltd. to undertake a comprehensive review of current and historic exploration work of the Confederation Lake Project. Sustained exploration for base metals began at the Confederation Lake Project during the 1950’s with over 560 drill holes completed to date, leading to the discovery of numerous VMS occurrences. A thorough review of current and historic exploration will provide for valuable guidance in expanding upon known mineralization, and testing both new and under explored targets. Sub-contract and manage a detailed interpretation of the airborne EM. Work would be to create 3D “plate” models of the EM to integrate with the 3D drill hole data. The technical information in this news release was reviewed by Colin Bowdidge, Ph.D., P.Geo., a Qualified Person as defined in National Instrument 43-101. 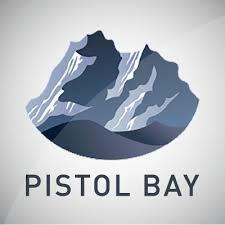 Pistol Bay Mining Inc. is a diversified Junior Canadian Mineral Exploration Company with a focus on zinc and base metal properties in North America. For additional information please visit the Company website at www.pistolbaymininginc.com or contact Charles Desjardins at pistolbaymining@gmail.com.